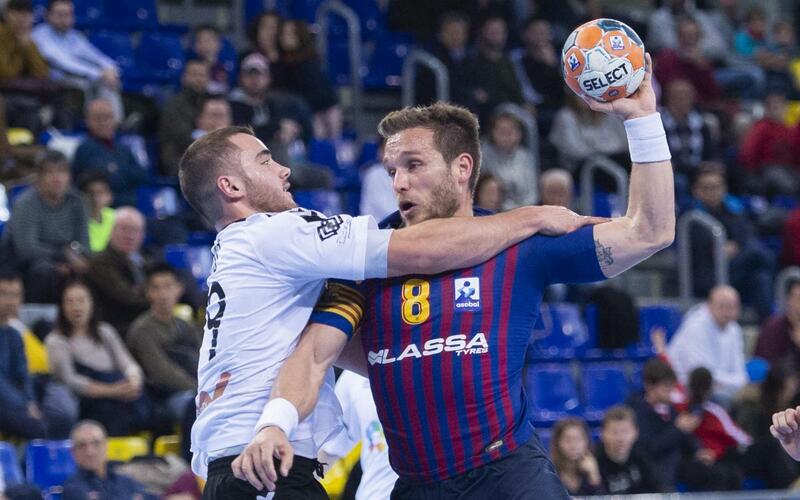 After taking the Copa Asobal trophy, Barça Lassa returned to action after the recent break for the World Championships with a 38-22 win against Secin Group Alcobendas in the 16th game of the Asobal League. Dolenec was the star for the blaugranes with 8 goals in game which save Xavi Pascual's team take their 16th successive win the competition, leaving them leaders and full of confidence for the games to come. Barça Lassa: Möller (p), Víctor Tomás (6), Andersson (2), Syprzak (3), Dolenec (8), Duarte (4) and Àlex Pascual (5) – starting seven– Entrerríos (1), Ariño (1), N’Guessan (2), Aleix (2), Petrus (-), Mem (1), Fabregas (1), Knorr (2). Alcobendas: Patostky (p), Pelidija (3), Manuel (5), Velasco (2), Crespo (1), Gimeno (1) and Nieto (4) – starting seven – Santiago (1), Nevado (-), Alfonso (3), Torres (p), Ortega (-), Gutiérrez (1), Martín (1), Thorsson (-), Rodríguez (-).